Dual-band WiFi (2.4 GHz and 5 GHz). Connect 2.4 GHz and 5 GHz devices to transfer data at higher throughputs. 2.4 GHz WiFi. Use only the 2.4 GHz WiFi band. 5 GHz WiFi. Use only the 5 GHz WiFi band. Guest WiFi. Share your WiFi with temporary visitors without exposing the devices on your network or letting visitors access the mobile router web page. Turn Off WiFi. This turns off the WiFi signal from the mobile router. With this setting, you can only connect to the mobile router with a tethered USB connection. Note: Whenever you change WiFi settings, any devices connected to the mobile router are disconnected and might need to be reconnected. On your smartphone, connect to the mobile router’s WiFi network. 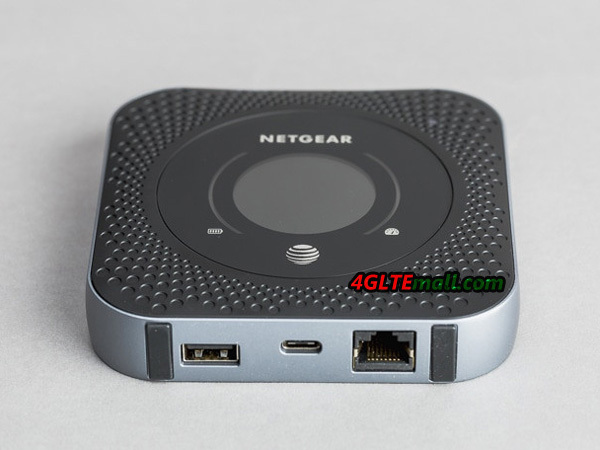 Launch the NETGEAR Mobile app. Tap Settings > WiFi > WiFi Profiles. Tap a WiFi network to select it. Enter the administrator login password. Select Settings > Setup > WiFi Profiles. The WiFi Profiles page displays. Select the Enable button for the WiFi profile that you want to use. The selected WiFi profile is activated. Note:Whenever you change WiFi settings, any devices connected to the mobile router are disconnected and might need to be reconnected. Select Settings > Setup > Wireless. The Wireless Network page displays the settings for the 2.4 GHz and the 5 GHz WiFi bands and global WiFi settings. By default, the Broadcast WiFi Name SSID check box is selected for each network so that the WiFi network name displays in the list of WiFi networks for computers or mobile devices. To change the global WiFi settings, adjust the WiFi standby time or the WiFi range. When you change your profile options (including disabling or enabling either WiFi network), any devices connected to the mobile router are disconnected and might need to be reconnected. To connect to the mobile router WiFi network, you can find the network and connect or you can use WPS. If the device is WPS enabled, you can use the WPS method to connect the device without using the WiFi password. Within two minutes, tap or click the WPS button on the mobile device or computer that you want to connect. Your mobile router and the mobile device or computer communicate and establish the connection. Select Wireless or Guest Network. The Wireless or Guest Network page displays. Click the WPS button for the network. WPS button pairing. If the device you want to connect includes a WPS button, click the WPS button pairing button and, within two minutes (120 seconds), press the device’s WPS button. Enter WPS PIN. If a WPS pin is associated with the device that you want to connect, click the Enter WPS PIN button and enter the device’s WPS PIN. Your mobile router and the wireless device communicate and establish the connection. Universal Plug N Play (UPnP) helps devices, such as Internet appliances and computers, access the network and connect to other devices as needed. UPnP devices can automatically discover the services from other registered UPnP devices on the network. UPnP is beneficial when you use applications such as multiplayer gaming, peer-to-peer connections, or real-time communications such as instant messaging or remote assistance (a feature in Windows XP). By default, UPnP is enabled in the mobile router. By default, UPnP is enabled in the mobile router, but you can disable and enable this feature. Tap the Enable UPnP slider. UPnP toggles off or on. Select Settings > Advanced Settings > Other. The Router Settings page displays. Select the UPnP Disable or Enable button. UPnP toggles off and on. To turn off the mobile router functionality and assign the network IP address directly to the attached device, enable IP pass-through. If you make this change, the attached device restarts using a different driver configuration. WARNING: If you enable this feature, WiFi is disabled and you must use a USB cable to tether the device. Note: This feature is available to Windows computer users. If you are a Mac user, do not enable this option because you will be unable to access your device. Select Settings > Setup > Router Setup. The ROUTER SETUP page displays. Select the IP PASSTHROUGH ON button. The default selection is AUTO. By default, the router acts as a Dynamic Host Configuration Protocol (DHCP) server. The router assigns IP, DNS server, and default gateway addresses to all computers connected to the LAN. The assigned default gateway address is the LAN address of the router. These addresses must be part of the same IP address subnet as the router’s LAN IP address. Using the default addressing scheme, define a range between 192.168.1.2 and 192.168.1.254, although you can save part of the range for devices with fixed addresses. Enter the starting IP address and the ending IP address. By default, the mobile router acts as a DHCP server. The router assigns IP, DNS server, and default gateway addresses to all computers connected to the LAN. The assigned default gateway address is the LAN address of the router. You can use another device on your network as the DHCP server, or specify the network settings of all your computers. Clear the Use NETGEAR Mobile as DHCP server check box. (Optional) If this service is disabled and no other DHCP server is on your network, set your computer IP addresses manually so that they can access the mobile router. 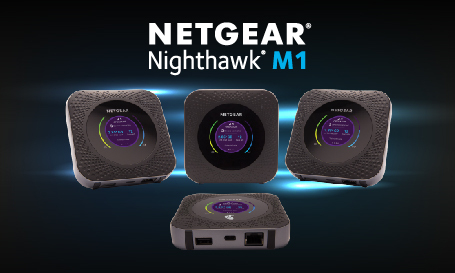 Netgear has confirmed the distribution of the Netgear Nighthawk M1(MR1100) in Europe from mid-2017. It is obvious that many European operators are not yet ready to deliver Gigabit on their networks, but as time goes, things are moving forward. 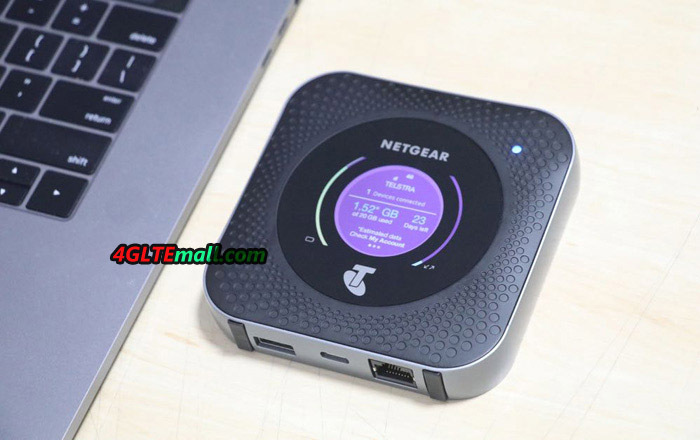 Nevertheless, the Netgear M1 has many advantages for aggregated carrier networks that deliver high speeds for up to 1 Gbps download. The Nighthawk M1 is world’s first 4G LTE router offering download data rate of up to 1 Gbps. It is equipped with the Qualcomm X16 LTE modem announced in 2016. The Netgear M1 implements several technologies, starting with the aggregation of 4 carriers, a technology of 4 x 4 MIMO, and QAM-256 modulation. 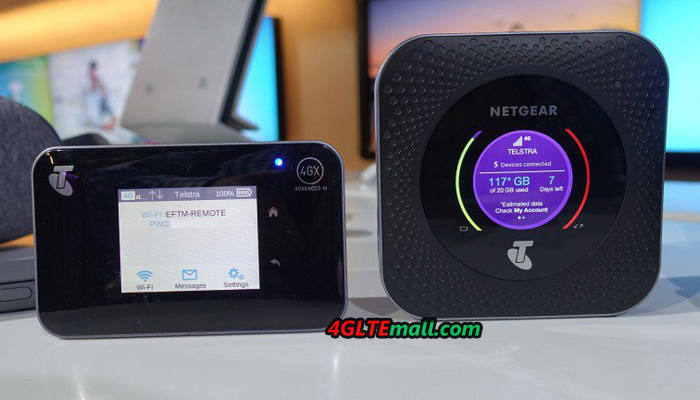 Here now, the Netgear Nighthawk M1 is only available for Australian network provider Telstra. And the US network carrier AT&T also introduced this LTE advanced Pro mobile router, but we haven’t gotten the AT&T Nighthawk M1. Of course, this equipment will be distributed in other regions as soon as the operator networks are well prepared for Gigabit transmission. 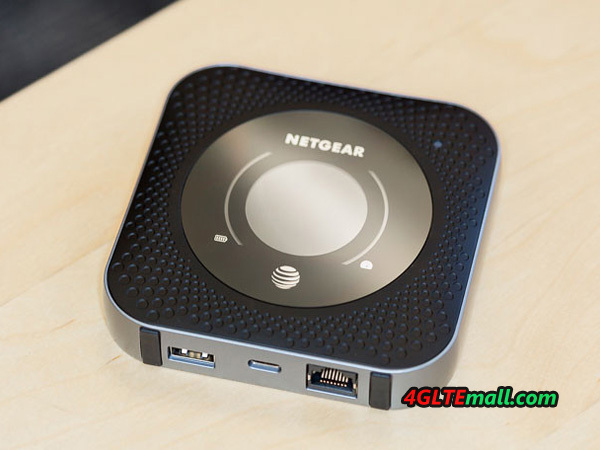 The Netgear Nighthawk M1 provides the possibility to connect via Ethernet port, which means it can redistribute the link to devices with wired link. It remains completely mobile and equipped with a battery of 5000 mAh for mobile use, which could keep working for connection up to 24 hours. The battery can charge other mobile devices such as a smartphone if necessary as a backup. And this battery is removable, which allows to replace it and therefore spare battery can be charged in advance for travel. Regarding the WLAN feature, Nighthawk M1 offers WiFi 802.11ac with dual-Band 2.4GHz / 5GHz. And the M1 can support up to 20 connected clients simultaneously. It also has a Micro SD card slot for storing and sharing media. It can be seen that connectivity is powerful in this router, which can connect many devices such as a NAS, printers, USB devices..
On the network side, the M1 offers a LTE-A link of category 16 using an aggregation of 4 carriers (4X4 MIMO) for a theoretical maximum throughput of 1 Gbps download and 150 Mbps upload. 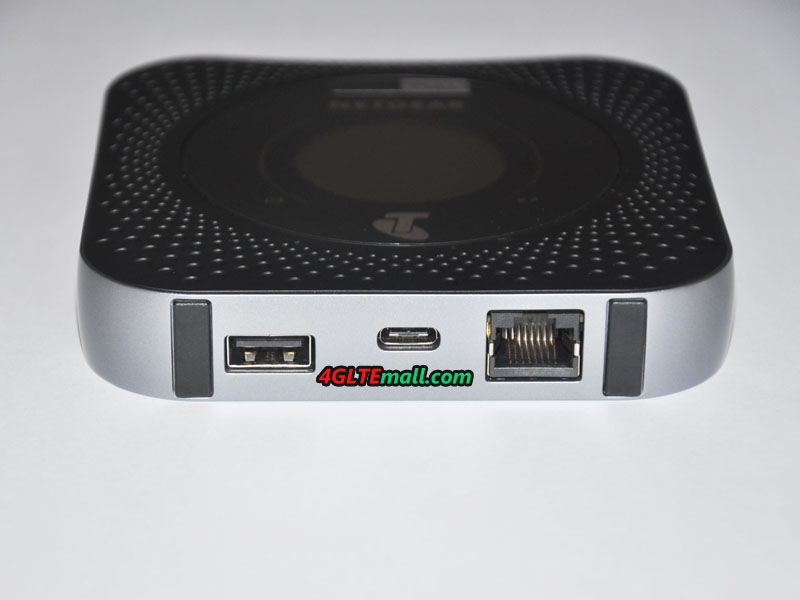 The Telstra version Nighthawk M1 could work well in Europe areas. The dimensions of the M1 are 105.5 × 105.5 x 20.35 mm for a weight of 240 grams. This 4G LTE advanced router is very well equipped, offers the latest technology and has a really rich connectivity. 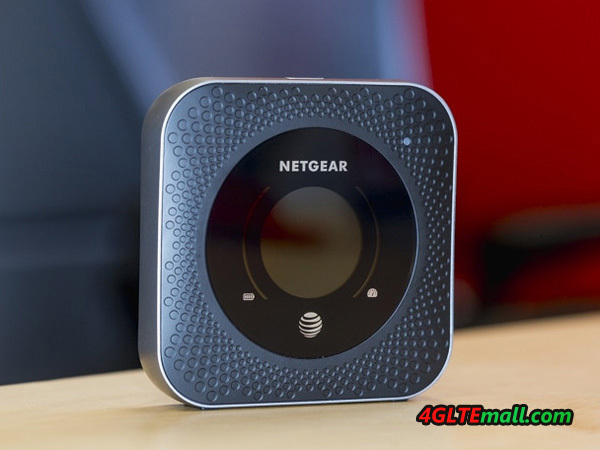 Both for fixed use in an underserved area at high speeds and for mobile use in all situations, the Netgear Nighthawk M1 seems to the best mobile 4G router now in the market. We can’t wait to test it fully. 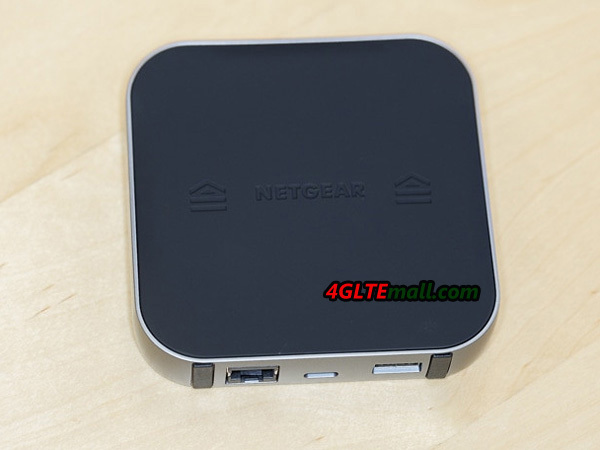 The price of Unlocked Netgear Nighthawk M1 available on www.4gltemall.com, if you want a powerful mobile router which could travel all over the world, it’s no doubt that the Nighthawk M1 is the right one.